While the concept of organic is nothing new, it is a way of buying, eating, and living that has become more accessible than ever before. Where once you could only find organic produce and products at specialty stores and markets, now they are available in many big box stores such as Costco, Publix, and Target. While all food and products should be organic and free of harmful pesticides and chemicals, that is not yet the case; but things are moving in the right direction. As we become more informed consumers, we are demanding to know what exactly is in and on the things that we consume and use on a daily basis. A good rule of thumb is that you shouldn’t consume anything where the ingredient list is a list of chemicals or ingredients that you can barely pronounce let alone know what they really are. While you might do this for the food and beverages that you consume, do you do this for the beauty and wellness products that you use every day? Until very recently, many all-natural cosmetic products didn’t seem to stack up to their counterparts. Many of us have continued to use the brands that we have always used without a second thought as to what we are putting on our skin and in our hair. A great new trend that has been taking place in the cosmetic market is the introduction of all-natural, organic, cruelty-free, safe, and effective beauty products that are accessible to a wide range of budgets, skin types, and needs. Cosmetic companies are really stepping up their game to make all-natural products that are as good, if not better than the traditional products that have been on the shelves for as long as you can remember. Brands like Burt’s Bees, Yes To, Pacifica, S.W. Basics, Fig & Yarrow, Seaweed Bath, W3LL People, ApotheCARE Essentials, BITE Beauty, 100% Pure Beauty, and Ilia Beauty are just a few that only use the highest-quality safe and natural ingredients. 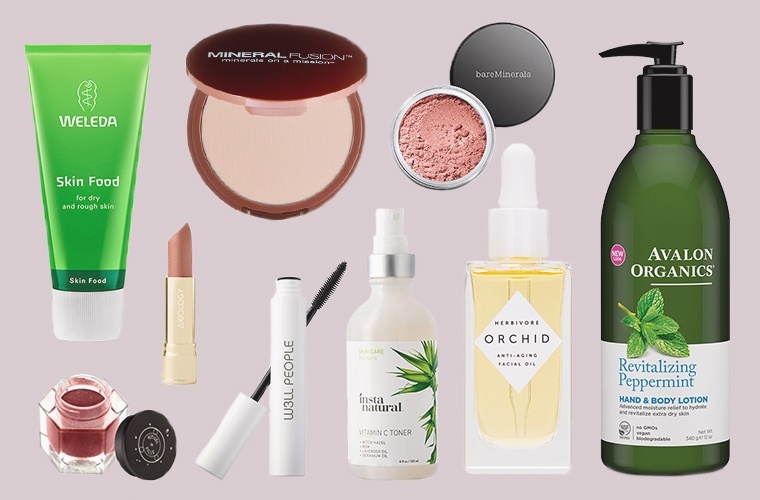 Green beauty products that actually provide exceptional results are a thing of the present now! At Parker Dentistry Facial Rejuvenation and Wellness, we’ve carried for years MD SolarSciences and ColorScience products, which have remained at the forefront of the green beauty movement. As this trend continues to gain strength, you can expect to see more and more beauty and wellness companies following suit. You know what you are putting in your body, now it’s time to know what exactly you are putting on your body.